Collaboration with Clemency Boyce. 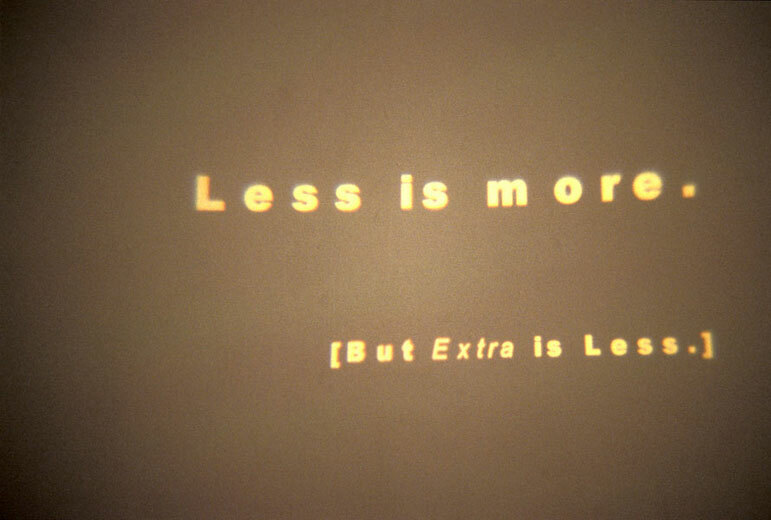 Installation of chewing gum and text. Enjoy Gallery, Wellington. Curated by Charlotte Huddleston. 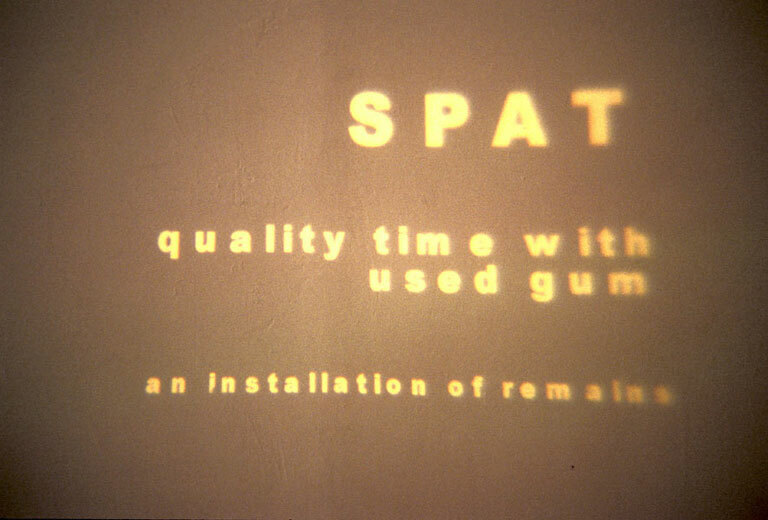 Spat - title projection - gum, slides, electrics, furniture. 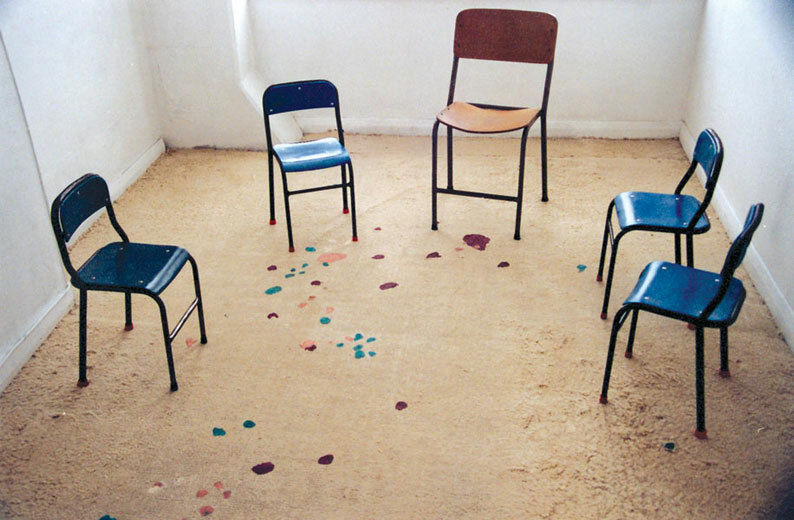 Spat - meeting room - gum, slides, electrics, furniture. 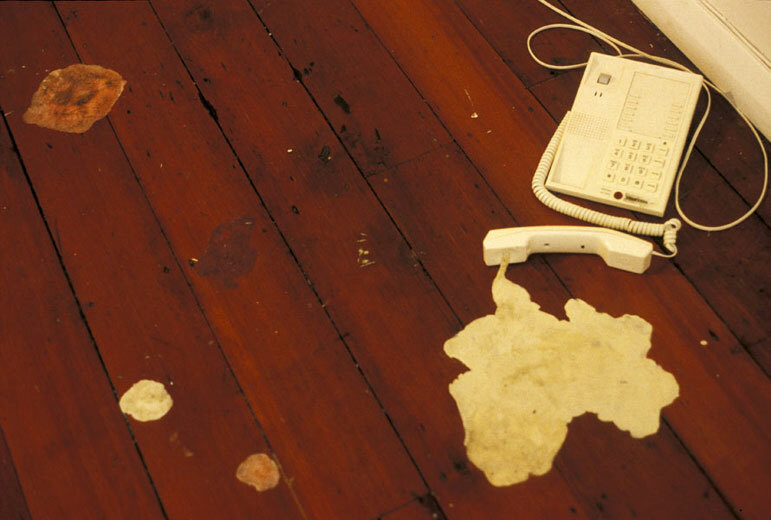 Spat - phone - gum, slides, electrics, furniture. 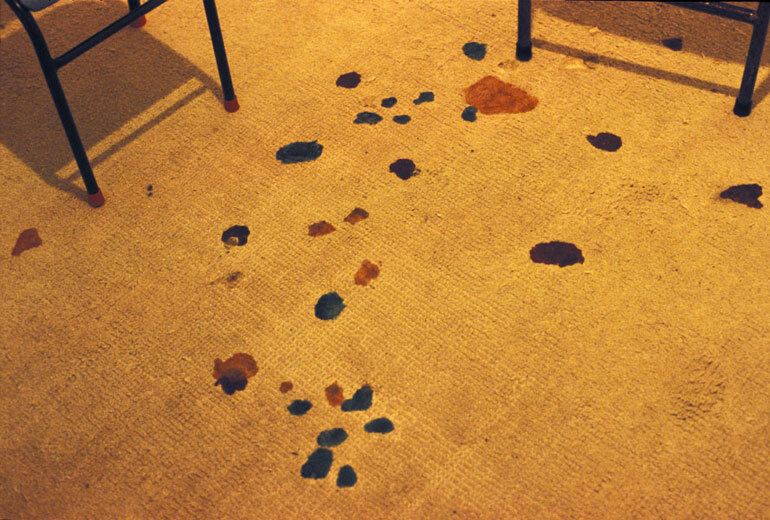 Spat - floor - gum, slides, electrics, furniture. 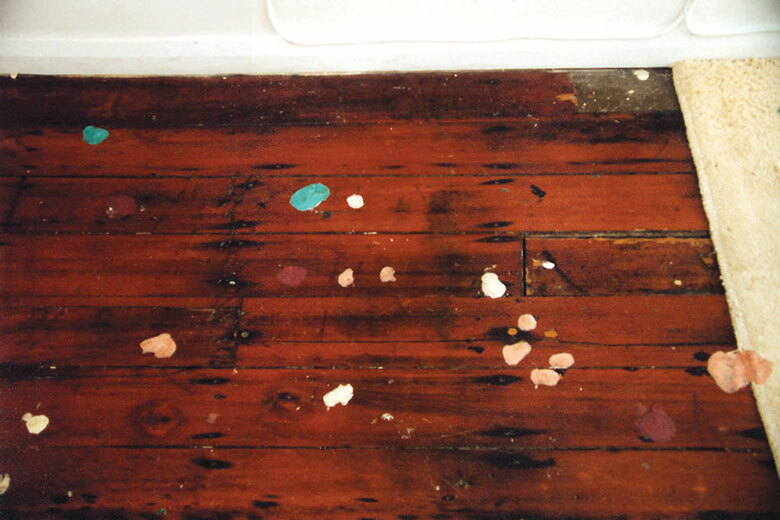 Spat - wall projection - gum, slides, electrics, furniture. 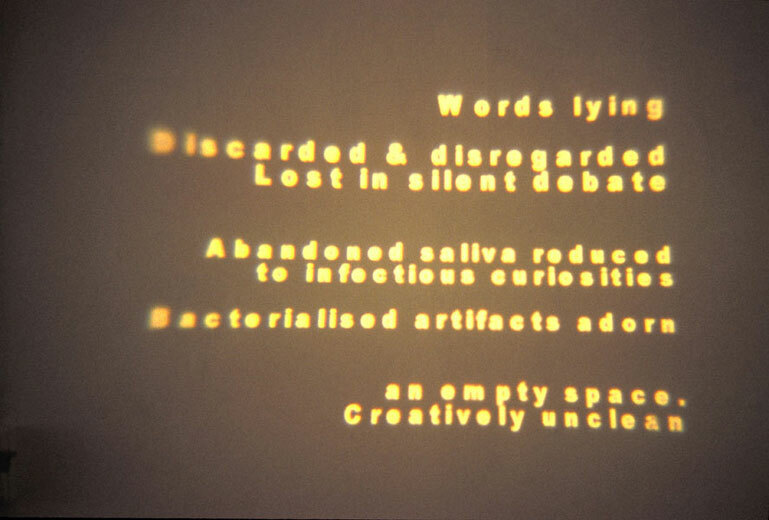 Spat - another text projection - gum, slides, electrics, furniture.